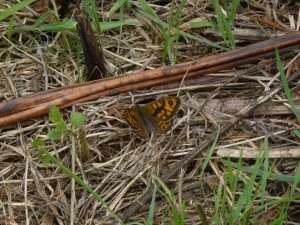 In spite of poor weather and the lateness in the summer, my butterfly list is still slowly creeping up. 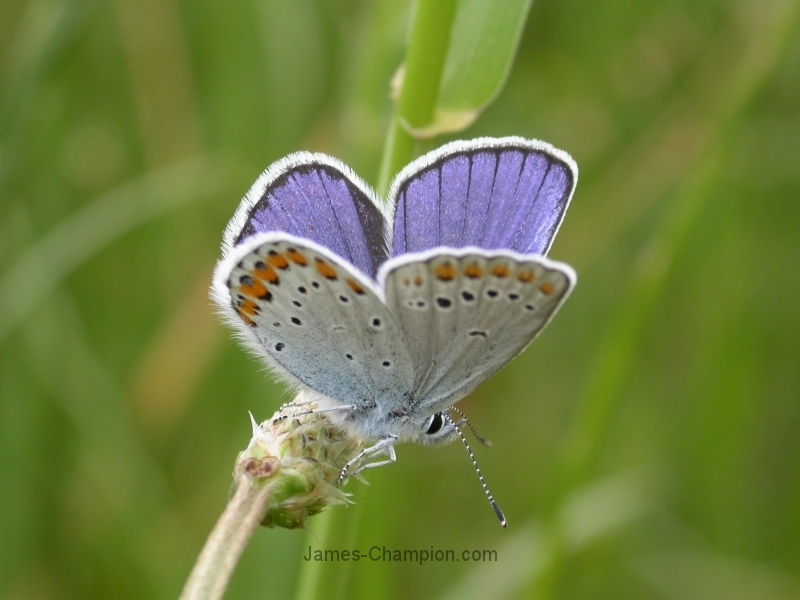 This weekend, we ventured southwards, over the border into England, heading for the butterfly mecca of the limestone hills just south of the Lake District, around the picturesque villages of Arnside and Silverdale. 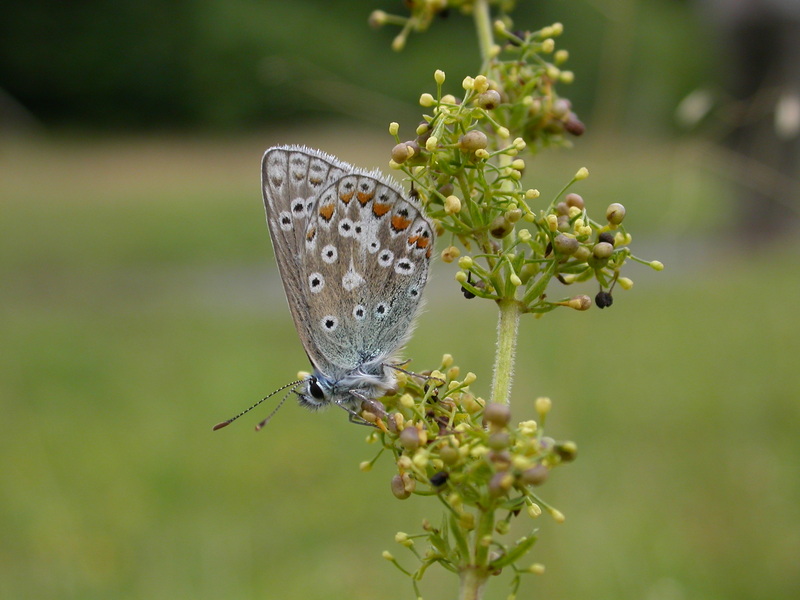 This remarkable area hosts several species of butterfly which do not make it any further north, and we had high hopes of boosting up our lists. 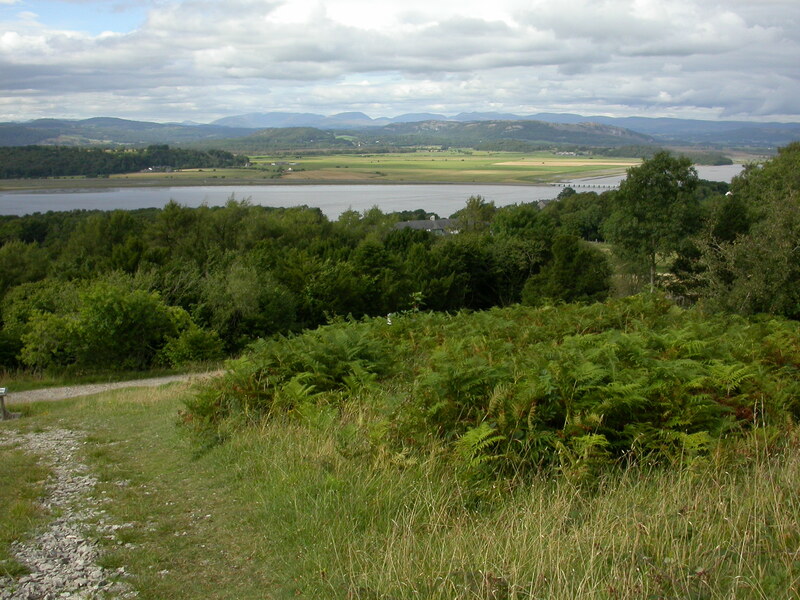 However, Friday evening was cloudy and dull, offering no hope of butterflies at all, and Saturday morning revealed that it had rained torrentially all night, and we were forced to resort to birdwatching at the RSPB’s wonderful reedy reserve at Leighton Moss – not too great a hardship. 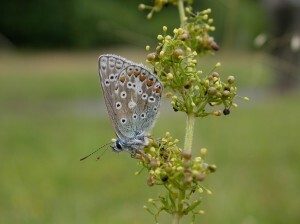 Following this, we headed a short distance southwards, to the cliff face at Warton Crag, where even though the weather was still dull, I managed to locate three Common Blues, Polyommatus icarus, all roosting on bedstraw and marjoram flowers. 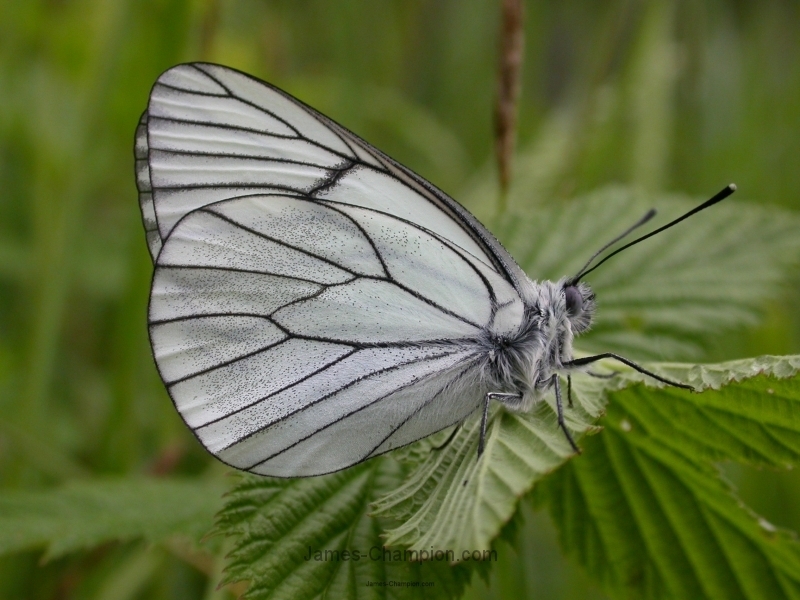 Most of the afternoon it remained cloudy, although frustratingly we could see a band of sunshine out to sea all along the coast, but the cloud would not move away – butterfly-hunting can be so irritating, especially when one is short of time! 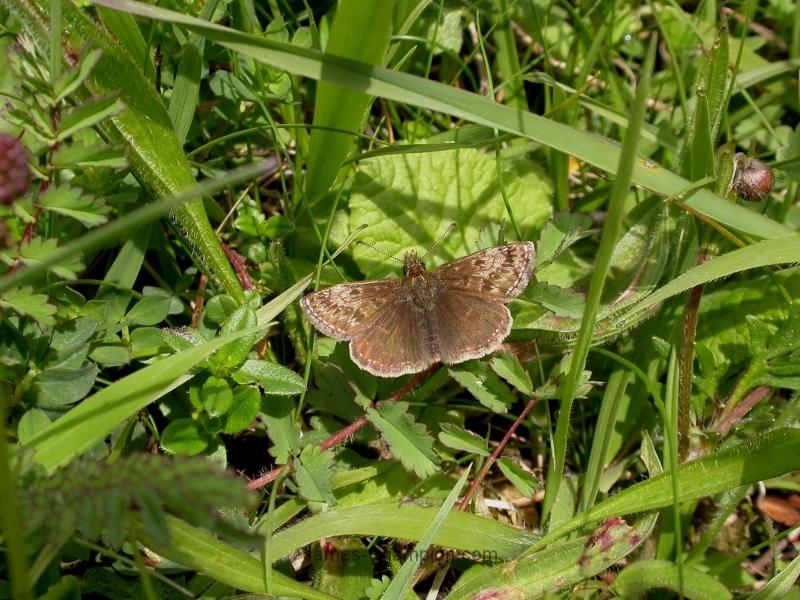 Finally, towards mid-afternoon, a semi-clearance came, and we immediately made for the most renowned butterfly area of all, Arnside Knott. This high hill, with its mixture of woodland, bracken, grassland and scree, is well known among butterfly enthusiasts as one of the few remaining strongholds of the rare High Brown Fritillary, Argynnis adippe, which I had seen here in previous years, but for which we were too late this year. Other than the Large Whites, Pieris brassicae, Small Whites, Pieris rapae, and Red Admirals, Vanessa atalanta, all of which we had observed on the buddleia bushes in the village below, our first sighting actually on the hill was a rather washed out individual of a new species for the year, the charmingly-named Gatekeeper, or Hedge Brown, Pyronia tithonus. I would normally have expected to see numerous Gatekeepers in the Netherlands, Belgium and northern France, but due to my early departure for Scotland, where the species does not occur, I had given it up as a missed butterfly for the year. Nonetheless, we went on to see three individuals, all looking tired and faded. 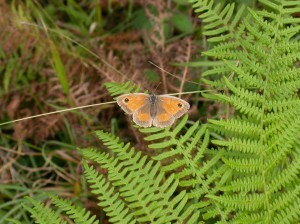 A washed-out female Gatekeeper, with an irritating grass stem crossing the picture as usual! 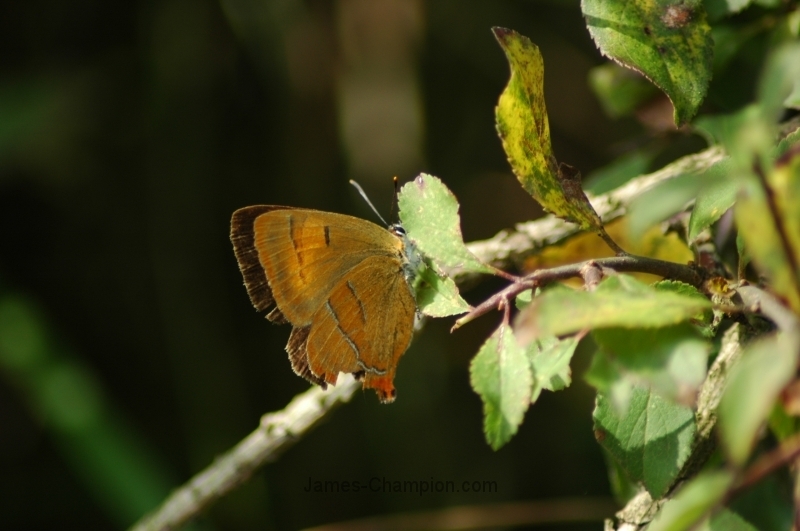 Having unsuccessfully scoured the screes for Graylings, Hipparchia semele, and the oak trees for Purple Hairstreaks, Neozephyrus quercus, we ventured slightly further downwards into another favourite butterfly clearing, and it was not long before a dark butterfly appeared. 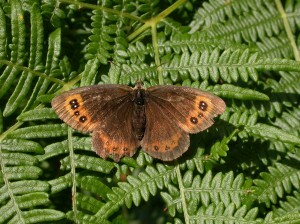 A closer look revealed it to be a female Scotch Argus, Erebia aethiops, also a rather tired-looking specimen, but a good one to see as this species only occurs at two sites in England, both on limestone grassland, whereas in Scotland, where it is far more widespread, it is to be found in boggy areas dominated by its larval foodplant, purple moor grass. 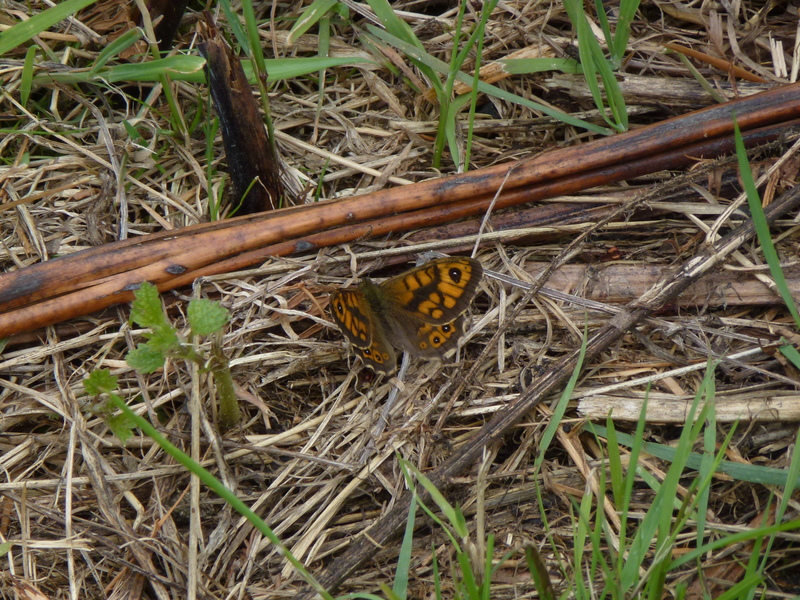 A few Common Blues were also to be seen here, as well as three or four Speckled Woods, Pararge aegeria, and a fly-by Dark Green Fritillary, Argynnis aglaja, a surprisingly late individual of this species, which should normally be nearly over by now. 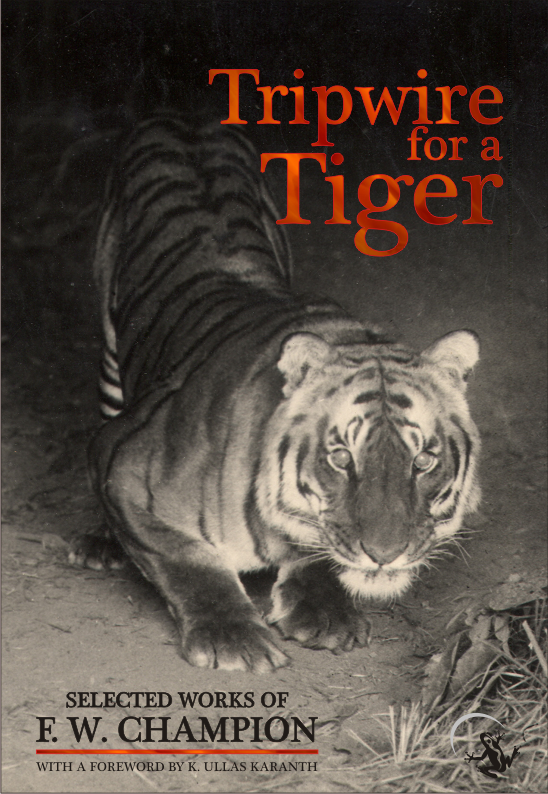 This brought our English lists up to eight species, and there they remained, as by now it was getting late and we needed to set forth on our journey back to Scotland. 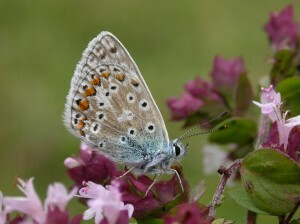 Yesterday, Sunday, dawned with cloudless skies and hardly a breath of wind – ideal butterfly conditions. If only we had stayed one more night at Arnside, we could perhaps have added several more species to our English lists! 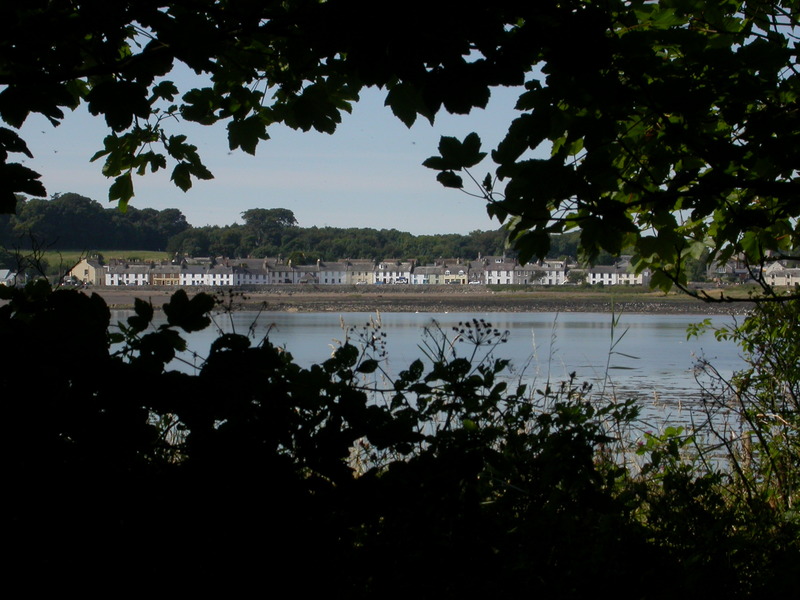 Still, one should not cry over spilt milk, so we decided to make the most of the ideal conditions by investigating a beautiful peninsula close to the picturesque harbour village of Garlieston. 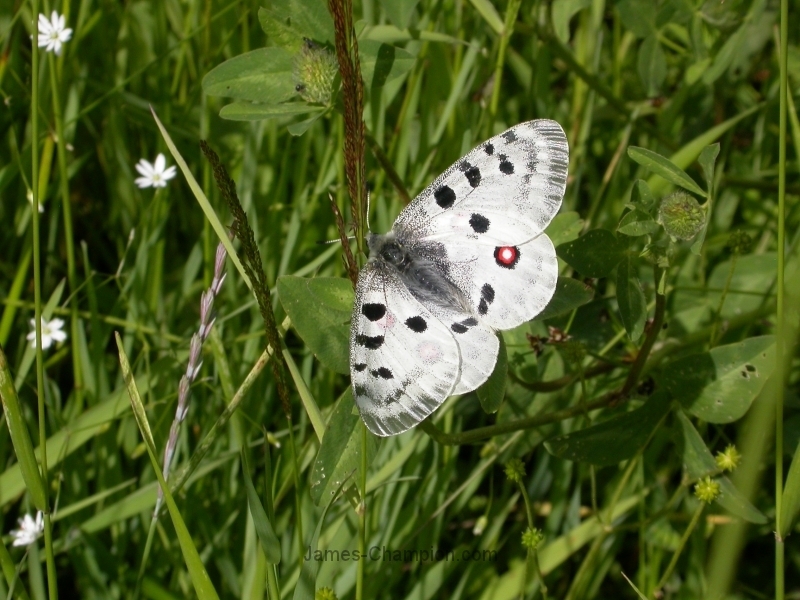 The vegetation was alive with butterflies all along the shore, and our walk began with us chasing a Wall, Lasiommata megera, a long way along the track – each time it settled on a sunny patch, we scared it along in front of us. 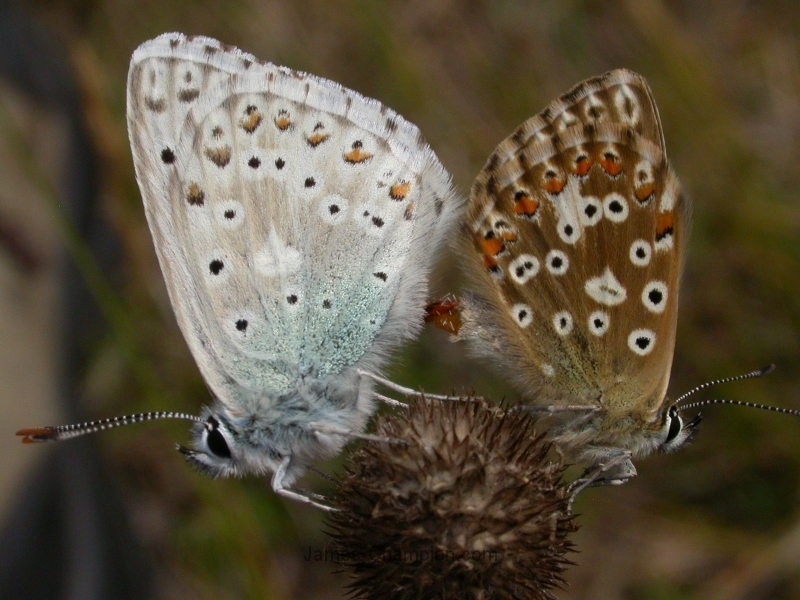 Perhaps this is one way in which butterflies can involuntarily spread their ranges!? A male Wall which we constantly disturbed! Also to be seen on a flowery area just above the beach a were numerous Large and Small Whites, at least five more Walls, and a beautiful, fresh-looking Painted Lady, Vanessa cardui. But it was once we were back in the shady wood that the most interesting sighting of the day occurred: a Speckled Wood, Pararge aegeria. 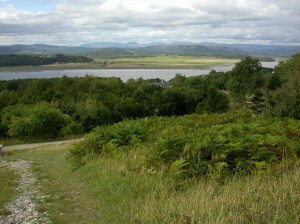 Although we had seen several the day before at Arnside, this one here was much more exciting. 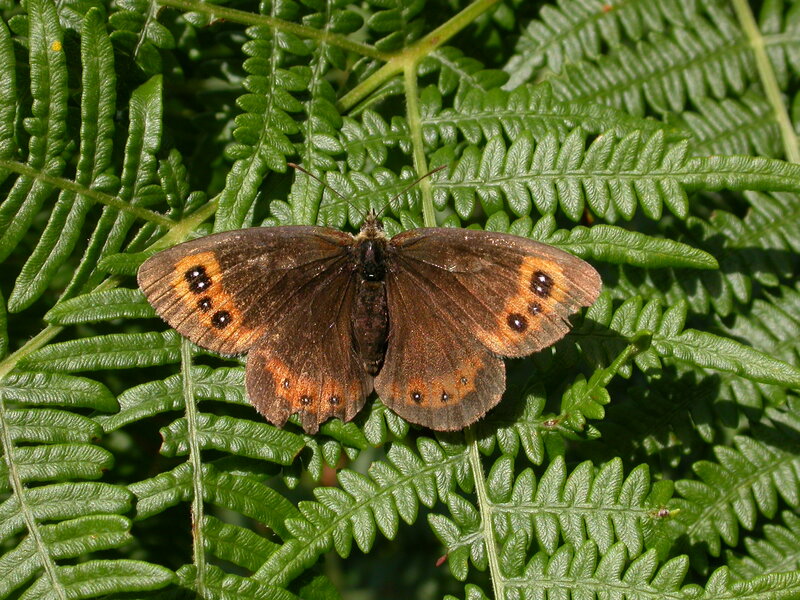 Galloway and southern Scotland in general form a surprising gap in the Speckled Wood’s distribution. It is found in northern England, in Scotland north of the Central Belt, and in Northern Ireland, and yet not here, although perhaps a colonisation is now taking place before our very eyes. We had seen a few Speckled Woods at this same location two years ago, but despite thorough searches had seen none last year, so we assumed that that first sighting had been only a temporary blip. 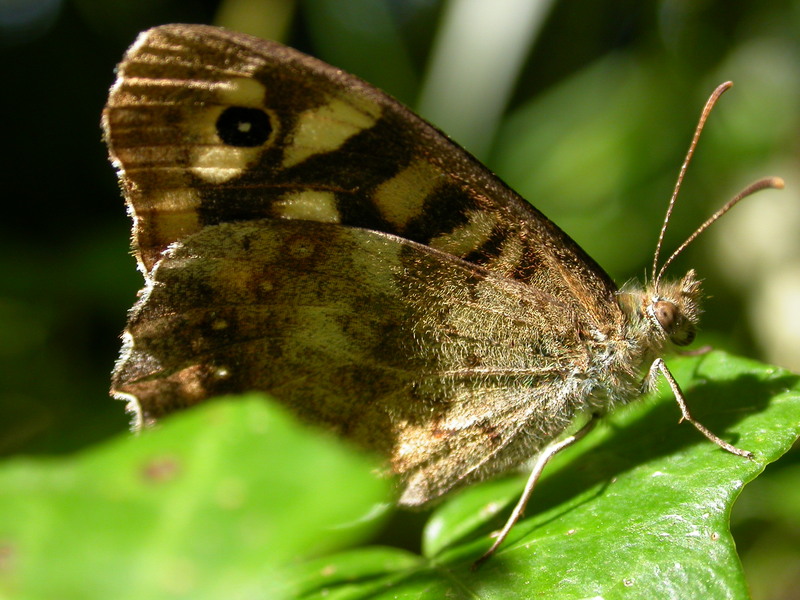 But here, basking on ivy in a patch of sunlight, was an undoubted Speckled Wood. Indeed, we then went on to see another two individuals, too many to be pure coincidence. Clearly the Speckled Wood is making a concerted attempt to become a regular feature of the Galloway woodlands. 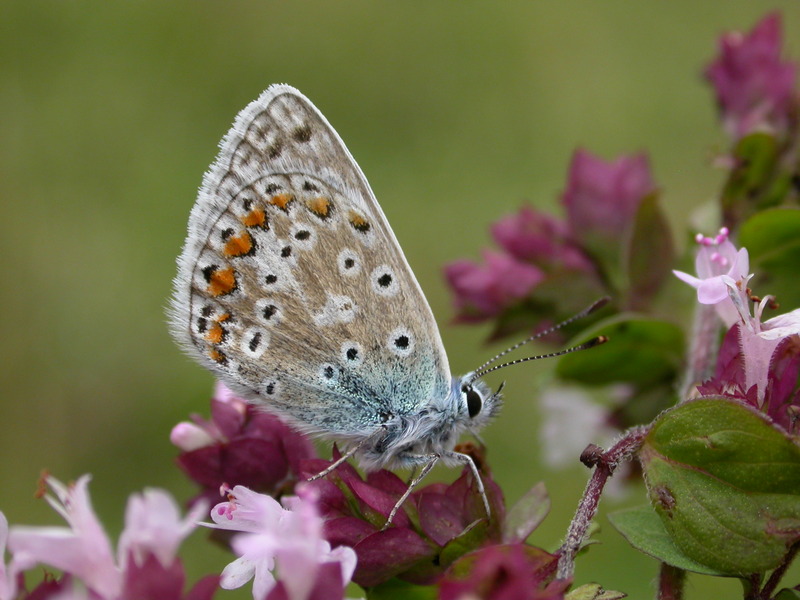 And for me it was an unexpected bonus, bringing my Scottish list up to 22 species, a remarkable score when one considers that I was not here for the Spring butterflies, and that I had not expected to see more than 15 during my summer stay here.